In preparation for the West Coast National Event of the Truth and Reconciliation Commission in Vancouver from September 18-21, the UBC Statistics Department, the UBC Mathematics Department and the Pacific Institute for the Mathematical Sciences (PIMS) have organized an introductory seminar for students, faculty, and staff. This seminar will present a meaningful introduction to the historical and current realities of the lives of Aboriginal people. This talk will be followed by a short presentation discussing possibilities for individuals to become involved in outreach programs in the mathematical sciences, such as those implemented by PIMS and the Mathematics Department. This seminar will take place on September 12 from 3:30 to 5:00. Paulette Regan, PhD. is Senior Researcher for the Truth and Reconciliation Commission of Canada. She is an Adjunct Professor in the Faculty of Education at Simon Fraser University and a Research Fellow at the Liu Institute for Global Issues, University of BC. 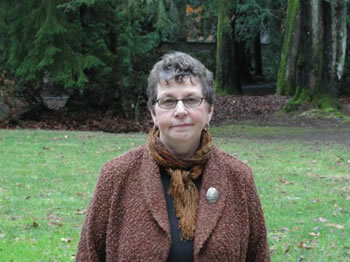 Her book, Unsettling the Settler Within: Indian Residential Schools, Truth Telling and Reconciliation in Canada (UBC Press, 2010) has been a non-fiction bestseller in BC and was short-listed for the 2012 Canada Prize by the Canadian Federation for the Humanities and Social Sciences.